One of the most beautiful birds out there! If your kids love this magnificent bird they are going to love these coloring pages! Peacocks are beautiful but boy can they be loud. Our neighbors have a whole lot of animals and for a short period of time they were housing a pair of peacocks. They were a joy to watch but when they decided to be loud they out-screamed everything! As I just know your kids (or maybe even you) are fans of coloring be sure to check my evergrowing collection of coloring pages. The term peacock describes the male of the species. These birds are actually called peafowl and the female of the species is called peahen. There are 8 pages to color, one is super simple as it is meant for younger kids (there’s absolutely nothing wrong if older ones color it too naturally! ), three “medium” ones as they have a bit more detailed peacock across the whole page and 4 “difficult” (not that they really are) where there are more than just one peacock on a page along with some minor scenery. There you have them! I really, really hope your kids will have fun with these and that they will come up with some unique color combinations. I think the feathers wouldn’t say no to glitter! 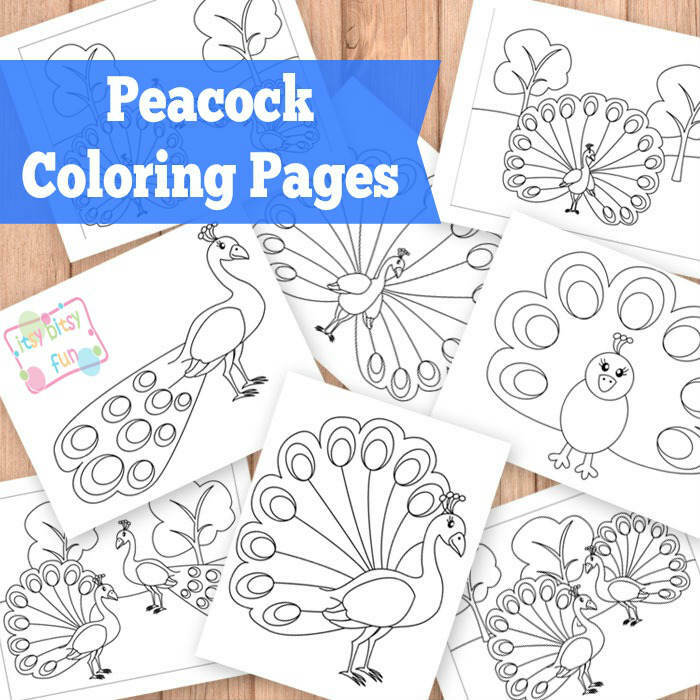 Get your free printable Peacock Coloring Pages here.